African American Baby Shower Favors-- New Baby ideas -- mini nail files- baby showers or baby announcement! 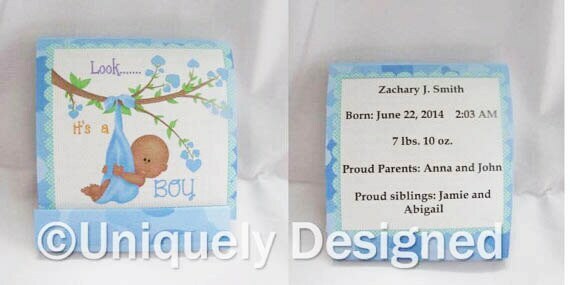 Want a unique gift for your baby shower? These mini nail files are sure to be a huge hit with all the women! 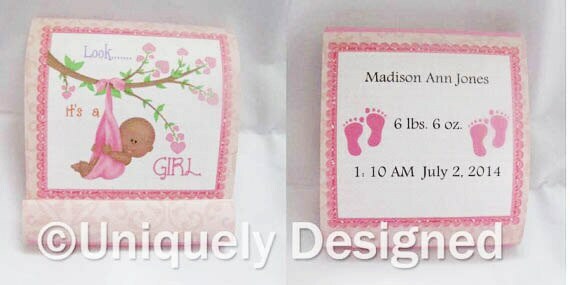 These are also a great alternative for the women in the family (mom, grandmother, aunt) to hand out when the baby is born. Hint: the candy cigars in our shop are great for the men! We have many designs and we are happy to do custom designs. We picked this design for our samples because we like it! All these graphics come in one baby, twins or triplets! Also different skin tones. We have pink, blue and yellow. However we can do many designs. Tell us your theme and colors, and we'll email you some sample pictures to pick from. 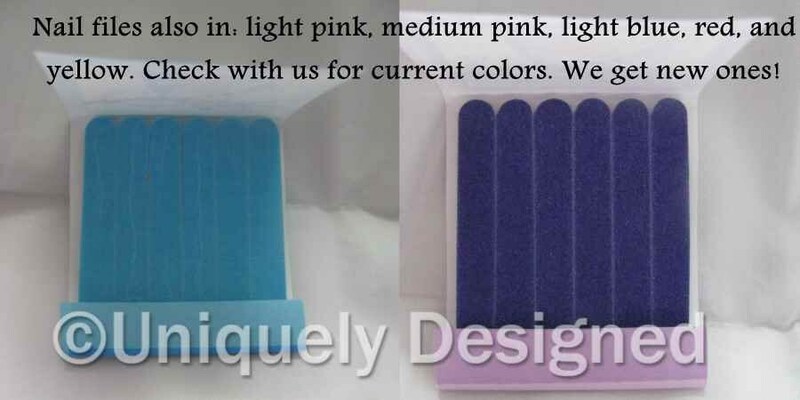 Each nail file is $2.00 Each comes in a cellophane sleeve to protect the nail file for a long time. Please feel free to email me about the exact cost of shipping for the amount you want. As it is hard to post shipping. Order as many as you like! Shipping below would hold about 75-100 nail files. So if you just want a couple or you want more, let me know and I will figure it out.